Business Tianjin Magazine - Magazine FEATURE STORY: Clash of the Ride Hailing Titans, What Went Wrong For Uber and What Happens Next? 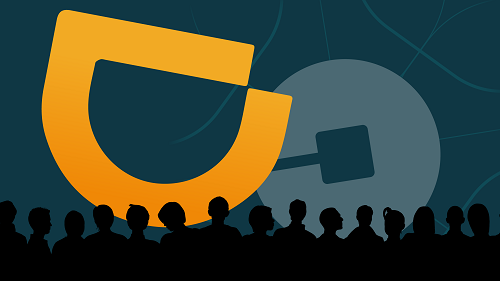 FEATURE STORY: Clash of the Ride Hailing Titans, What Went Wrong For Uber and What Happens Next? Clash of the Ride Hailing Titans: What Went Wrong For Uber and What Happens Next? Last month we saw one of the most ferocious clashes of the tech titans finally draw to a conclusion, with global ride hailing behemoth Uber finally deciding to hold up the white flag to rival Didi Chuxing. 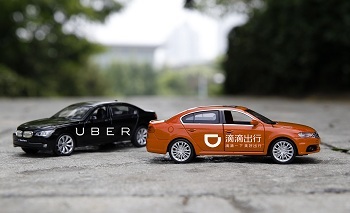 After what has been relatively short but nonetheless arduous battle for market share in the world's fastest growing consumer market, the two firms finally agreed to a massive merger deal that will see Didi invest USD 1 billion into Uber, while the American firm will receive a 20 percent stake in the new combined business. Both the backstory and the outcome of this high profile corporate skirmish provide us with plenty of food for thought, particularly in terms of what can happen when multinational tech companies come to China expecting to strike it rich. It was never going to be an easy ride for Uber. Competing in China never is. It doesn't matter whether you are a small foreign company venturing into a new market for the first time or a huge established global brand like Uber, which seemingly has the cash, notoriety, business model and corporate infrastructure needed to succeed outside its home country. Looking back at Uber's short-lived attempt to conquer China, it is clear that the odds were stacked against them right from the outset. For starters it has always been somewhat of a maverick company which tends to flout local rules and regulations when it ventures into new markets. Regardless of the fact that just before the merger was announced Chinese regulators decided to completely legalise ride sharing in any capacity, which should have given Uber a much needed breather after three years of painstaking work to claim market share, Didi was always going to be the clear frontrunner. It goes without saying that being a domestic company in China puts you in a very advantageous position against competitors coming in from outside. Networking and favouritism considerations aside, Didi had already established a very firm grip on the Chinese market before Uber decided to open for business here. In short, Uber was simply too much of a late comer to take on such strong opposition. On top of that the American firm was constantly being bitten in the backside by its corporate strategy. Sure, paying at the click of a button is trendy and convenient, but a lot of Chinese customers are still used to paying in cash. The fact that Didi drivers offer this option has certainly worked in their favour. Moreover, in order to entice new drivers and customers alike Uber was subsidising to the tune of about USD 1 billion per year. Taking on this huge overhead just to be able to compete with Didi was a risky strategy that undoubtedly spooked a lot of shareholders and potential investors. On the other hand, the Chinese company had no shortage of big backers who were willing to put up the cash if needed. 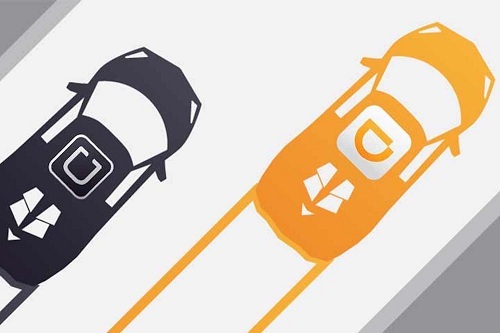 Before Apple Inc decided to plough a billion dollars into Didi back in May this year, the taxi app had already gotten the support of Chinese tech giants AliBaba Group, Tencent and Baidu. In the end it was simply a case of jumping ship and swimming back to shore, as opposed to continuing to swim against the tide. On the surface this ground-breaking deal between the two companies does seem like a clear victory for Didi Chuxing. They previous had a market share of about 80 percent. When the merger with Uber is finalised the new conglomerate will be in an almost monopolistic position. That will of course bring up questions of fairness, given that the technology sector is generally the most fiercely competitive industry in the world, with lesser barriers to entry for start-ups. In turn that will put pressure on the Chinese authorities to ensure that one firm isn't allowed to monopolise the ride hailing space and it could even encourage some consumers to choose smaller competitors out of principle. However, this is unlikely to faze the highly competent and successful team at Didi Chuxing, whose leader once referred to Uber's attempt to steal their market share as "cute". The only possible downside for Didi is that they are spending a lot of money to secure the deal and they have had to give up 20 percent share to Uber. From Didi's perspective though this must seem like a pretty small price to pay in order to secure an almost monopolistic grip on the Chinese market. The upsides in the long term are huge. The demand base for the firm's existing services is growing very fast and there is massive scope to expand into new segments of the market now that they don't have to worry about any big players from outside coming in to challenge their position. While this deal does signal the end of Uber's attempt to capture a chunk of the Chinese market, it doesn't spell disaster for the company as a whole. In fact in some ways the company's defeat by Didi presents some new opportunities. Admittedly they are missing out on what will be the biggest consumer market in the world going forward - albeit with a lucrative 20 percent stake in the country's biggest private taxicab app - but it will free them up to try their luck elsewhere. 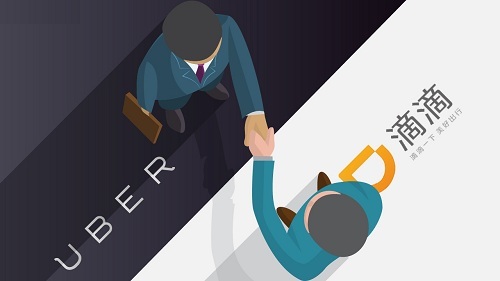 While it is tempting to take a 'glass half empty' perspective and see this outcome as a crushing blow that shows signs of weakness in Uber's business model, the optimists are pointing out that they have learnt some very important lessons. The experience the firm has gained from their short period of operating in China will be crucial as they expend into other emerging markets. The most obvious target is India, the other Asian giant whose population will soon be the largest in the world and whose middle classes are flocking to ride hailing apps like never before. How will that play out? Nobody really knows, but one person who has a better idea than most is Tech Crunch contributor Ajay Chopra. From his perspective, "If Uber decides to apply the same dominance strategy in India that it initially used in China, the companies will continue to aggressively compete indefinitely albeit with better prospects of Uber becoming eventually profitable in India than it had in China, or Uber may even make a move to acquire Ola - though anti-trust regulators in India would probably balk at that. Alternatively, he says, "Uber could proactively opt to sell its India operations to Ola, take a large stake in the company, and still participate in the India market via the "Ola proxy" without all of the regulatory headaches and months of financial losses. This may not be Uber's preferred style, but after learning some difficult lessons in China, and with mounting pressure to go public, anything is possible". The bottom line is that all is not lost for Uber. The company's stint in China has been a learning experience that in the long term may well be one of many bumps in the road towards global dominance.